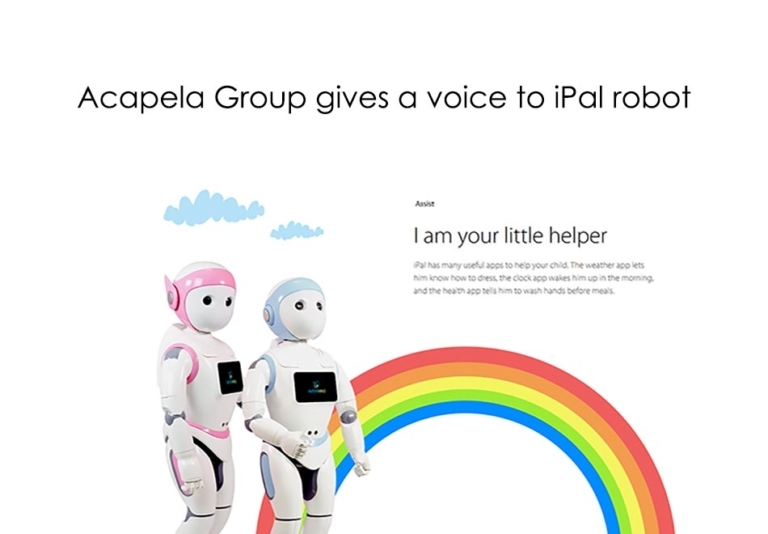 Acapela Group » Voice First: Acapela Group gives a voice to iPal robot, the smart social companion for kids and the elderly. AvatarMind has selected voices from Acapela Group, the world expert of vocal solutions, to be the voice of the iPal® Robot. iPal is a playful robot that serves as a social companion, educator, safety monitor for children and can bridge generation to serve the elderly. iPal Robot’s will enhance its strong human interaction capabilities by adding high quality and pleasant voices from Acapela Group. To start with, Acapela will provide the iPal Robot with 12 English authentic voices that will offer a wide range of voice persona to iPal Robot’s users including Acapela’s unique genuine children voices, made by and for children. 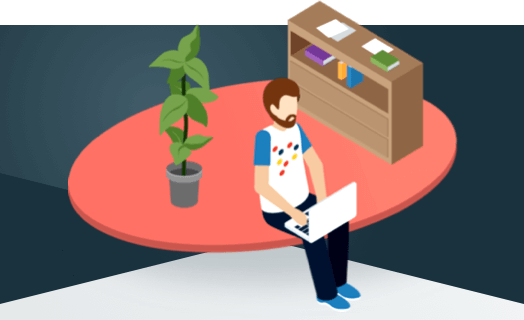 “It is very important for iPal to have a pleasant and inviting voice, and to be able to provide a range of voices so that customers can customize their iPal. For children, they will have a friendly companion with a voice and content that matches their age group. For other applications such as elder care and retail/hospitality, our relationship with Acapela will enable iPal to have a voice and interaction optimized for the specific application. In fact, customers will be able to interactively select among the 12 voices to customize their iPal, and even change their selection when they want to try something different. Acapela is the perfect partner to achieve that.” comments John Ostrem, CEO at AvatarMind. “We are very thrilled to give a voice to iPal as voice-first interface and social robots are revolutionizing the way we work, learn, live and play. We look forward to provide voices that smartly adapt to contexts and users for a personalized seamless experience to everyone sharing AvatarMind’s vision to provide access to advanced technology to families” says Remy Cadic, VP Sales at Acapela group. A mandarin version of iPal is now shipping in China. An English version of iPal will be released on June 15. It will be available for both consumers and developers. Cost will be $1999 to $2499 depending upon the model. Acapela’s vocal solutions speech empower all services or devices that need to speak. The company offers a large portfolio of standard voices and create custom voices, for the exclusive use of a company or a brand. Because you voice matters.